We collect untreated wastewater and transfer it to our wastewater treatment plant thorough a series of wastewater lift stations and force mains. These lift stations are cleaned on a regular basis to mitigate the potential for odors. At the current time, our wastewater collection system is very limited in area. Not all areas can be serviced for wastewater. The wastewater pipelines either work under pressure (force mains) or by gravity. The gravity sewer lines are also cleaned and videotaped according to a prescribed maintenance schedule. 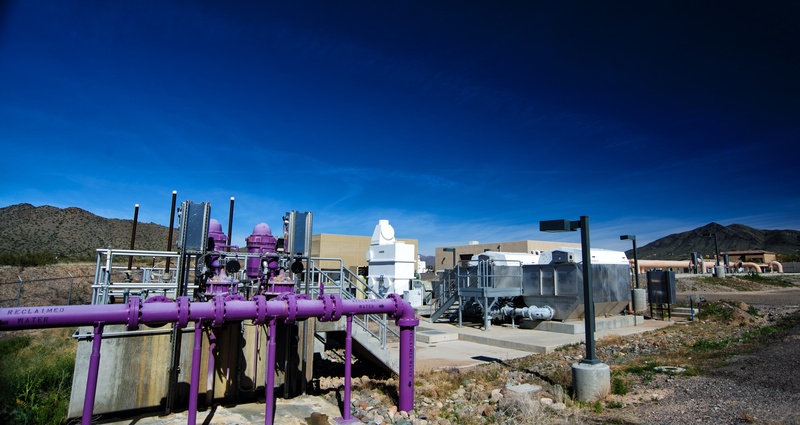 Raw wastewater is treated at our state-of-the-art tertiary wastewater treatment plant to meet stringent water quality regulations as prescribed, by permit, from the Arizona Department of Environmental Quality (ADEQ). The treated wastewater is delivered to local golf courses for turf irrigation purposes through a Water Reuse Permit also administered by ADEQ. The wastewater treatment plant is a Sequencing Batch Reactor (SBR) type and currently treats approximately 300,000 gallons per day.